What’s up for review in (mostly) historical wargaming with reports on Osprey; Two Princes, Van Dyck, Northumbian, and much more. Wargaming the 1745 Jacobite Rebellion. The editor and his camera pay a visit to Salute 2018. 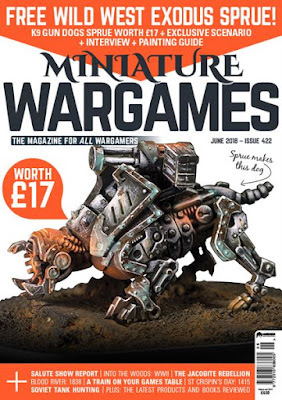 The usual palantir perusal of the latest news in F&SF gaming with releases from Black Pyramid; CP Models; Osprey; Modiphius, Brigade and more!. 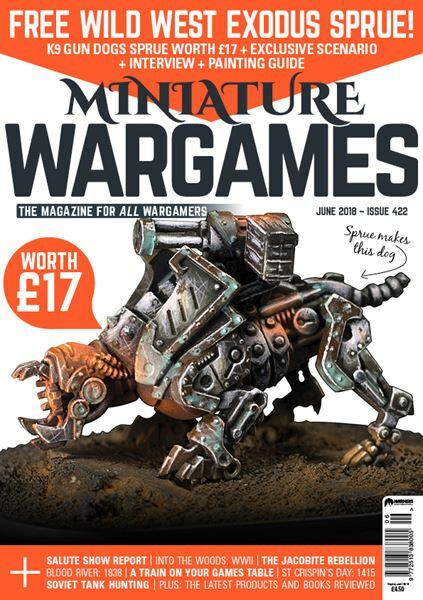 A peak into the story behind our cover feature Wild West Exodus with a trio of exclusives: a Q&A, a painting guide for your free miniature and a scenario called Leave ‘em to the Vultures. Eeeehaw! Scenarios ideas by the bucket load with a dissection of Bodange 1940 and Baraque de Fraiture 1944. More reviews than ever of the very latest book releases. The Boers and Zulu clash in South Africa. History and gaming scenarios!